zombieman84 wrote: What's a gulliver? anon isnt a very organized organization from what I have heard. ANYONE can pretend to be a member becuase everyone in anon is anon even to themselves. sk8ergurl1337 wrote: anon isnt a very organized organization from what I have heard. ANYONE can pretend to be a member becuase everyone in anon is anon even to themselves. What don't I get? The orange clock reference? SLiPZ wrote: What don't I get? The orange clock reference? 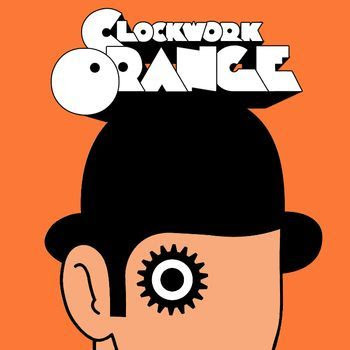 I got that, I just took an orange and put alex from clockwork oranges eye on it... Twas joke sir, I know about clock crew. what the hell are you guys talking about. What do you get Reaper? Hello, didly12.net we see that you as a website are growing stronger. Newgrounds has refused to have involvement with Anonymous. Do you remember the message we sent you earlier? You failed to decompile the voice of one of our members, but becuase you trying you have forced us to use this computerized voice. We are not terrorist, we are your allies. We are not out to destroy your site, but to protect it. We have been watching. We have been to your meetups. You have talked to us. Please continue to respond to this, but please understand our cause. We peacefully want to get you in the involvement againts Scientology. We are NOT an outlawed organization, We are legion, we do not forgive, we do not forget, expect us. WeAreAnonymous wrote: Hello, didly12.net we see that you as a website are growing stronger. Newgrounds has refused to have involvement with Anonymous. I respect them for some of the things they do... Like the whole dusty the cat business. But I still have no incentive to conjoin. SLiPZ wrote: I respect them for some of the things they do... Like the whole dusty the cat business. But I still have no incentive to conjoin. They got back the person who did that thing to the cat. (I think) So? They tracked the kid down and got the cops on him, would be cool if they only did good things. SLiPZ wrote: They tracked the kid down and got the cops on him, would be cool if they only did good things. Calling the police on a person that did animal abuse is BAD? Im saying it WOULD be cool if they ONLY did good things LIKE getting the cops on him. But they also do things like attack forums and advertise us there so we get deleted. We are sorry to reply like this, but we may not help you. AS you see, we too have our hates. But, one is NOT Scientology. Even if we did hate them, we would not attack them. So you see, we are not a raiding group. We are a social network and a coding network. Either one is not involved with any attack.As sorry we may be to not be able to help, we must decline. I liked the No cussing thing though.